This better future won’t come with tax cuts for oil corporations and trying to extract every last barrel. It means changing direction – towards a rapid transition away from fossil fuels. This will require a wholescale change of UK economic policy away from austerity and toward investment in the new economy. This report shows that sustainable sectors in the new economy can employ significantly more people than currently work in fossil fuel industries. Scotland can create stable jobs for those who need them, wipe out fuel poverty, do its bit to stem climate change and re-localise economies. We researched and analysed existing and potential employment in offshore wind and marine energy, forestry and sustainable biomass, retrofitting buildings, decommissioning the North Sea, synthetic gas, and training and research. Projections were built on conservative estimates of the jobs required for a rapid and ambitious energy transition. We didn’t include new jobs in public transport, solar, waste, renewing the electricity grid, energy storage or climate adaptation. Our calculations show that there are 156,000 workers employed in fossil fuel extraction in Scotland, of which one third are export-oriented jobs. The new economy could in comparison employ more than 200,000 in 2035. The transition proposed is ambitious and would involve major hiring programmes and a drastic reduction in Scottish unemployment. This paper lays out the necessary policy proposals to maximise job creation and a just transition. These jobs in the new economy should be better jobs for the workers and for all of us: jobs in an industry which is growing not declining, which create a safer, rather than a more dangerous world. 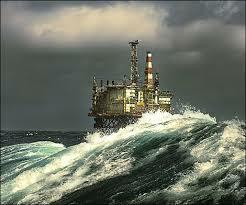 For workers employed in North Sea oil or part of the supply chain, concerns about job losses are legitimate. Hence we have analysed and compared not only job totals between fossil fuels and the new economy, but also the skills components and likely locations. The transformation we are proposing involves reducing dependency on distant multinationals, and centring the public sector, workers and energy-users co-operatives as well as small and medium Scottish companies. Building a non-extractive future in every sense: the pollution stays in the ground, and the money and skills stay in the community. Unions and shopfloor workers need to be at the centre of this transition, redesigning supply chains and guiding the transformation. Energy workers laid the foundations of parliamentary democracy in the UK, played a central role in the formation of unions and won crucial struggles over workplace rights. Today’s energy workers in Scotland will play a crucial role in building the new Scotland, both as individuals with essential skills and collective groups. We can’t afford to squander the creativity, knowledge and abilities of engineers, skilled trades and production workers. Creating public sector jobs and guaranteeing work for those losing work in fossil fuels. Giving the state a significant role in offshore wind and marine energy, while taking back control over parts of North Sea oil and key refining assets at Grangemouth. Ending tax cuts to private fossil fuels companies. Support for trade unions in organising new sectors and a major public training/retraining programme. Setting strong, long-term climate targets alongside ambitious renewables generation – so that supply chain companies set up in Scotland. Coupled with regulation and incentives to ensure that companies “buy-local” and “hirelocal”. The alternative is allowing multinational companies and neoliberal forces to shape the transition. This means failing to hit the necessary climate targets and increasingly precarious workplaces. Fighting inequality on every front and through multiple means is a central strategy in the battle against climate change. We need a coherent and sweeping vision – the response to climate change must be a jobs creator and a community rebuilder. The falling oil prices have highlighted the volatility of the fossil fuel industry. But they also create an opportunity. The companies operating in the North Sea are profit-heavy multinationals that exploit the overly-generous UK tax system to subsidise drilling elsewhere. Between 2009 and 2014, oil companies made £48.7 billion in profits. Rather than tax cuts that primarily benefit distant shareholders, this is the moment to take back public control over key parts of the North Sea. By part-nationalising the oil, slowing the extraction rate and maximising the revenue per barrel, Scotland could both finance the transition and meet its climate responsibilities by leaving fossil fuels in the ground. This report assesses the revenues missed out on by the current fiscal regime. The plans described here are ambitious and would mean comprehensive changes to UK economic policy. They aim to generate far more energy than Scotland needs. Scotland could be powered entirely on renewables, and position itself as an important electricity exporter to Northern and Western Europe. Decentralized economic decision-making could be combined with an industrial renewal. An energy and a social transformation, both grounded in justice, that transfers economic power from multinationals to workers and communities. The introduction ends here. To get a pdf of the full report, click on jobs_in_scotland_new_economy.